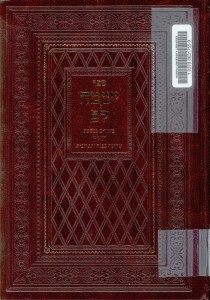 Sefer Yismah Lev, by Shmuel Yosef Maybruch. Machon Be’er HaTorah, 2014. Sefer Yismah Lev on tractate Hulin and related issues in Shulhan Arukh Yoreh De’ah is the first published work by Rabbi Shmuel Maybruch, lecturer in the Stone Beit Midrash Program at Yeshiva University. Topics include ritual slaughter and the prohibition of milk and meat mixtures as well as other issues relating to the laws of kashruth. Each essay displays clear, precise erudition and penetrating analysis which will be appreciated by those studying these fundamental areas of Jewish Law.